The Community Rental Investments program develops safe, attractive, energy-efficient, affordable rental homes and apartment communities. 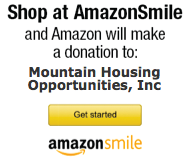 Our homes are targeted to individuals and families in the workforce, retirees, and people with disabilities in Buncombe County. 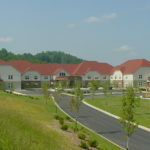 Each apartment community offers a unique setting in a good neighborhood for its residents, with innovative architecture and design, site planning with beautiful landscaping, floor plans that are spacious, and superior amenities such as play areas, walking trails, and community centers. Locations are selected for their convenience and sustainability. 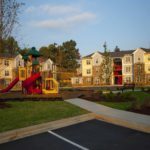 MHO builds and owns all of the apartments and employs Partnership Property Management to manage and lease the properties after they are completed. 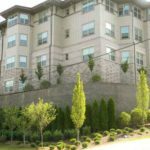 MHO does not handle leasing arrangements for any apartments. 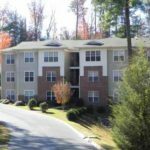 If you are interested in renting an apartment, you must call Partnership Property Management at 828-575-2323. Since 1994, Community Rental Investments has developed over 1,039 rental homes, providing opportunities for families that will strengthen future generations. Call Partnership Property Management About Apartment Rentals 828-575-2323. Only one mile from Patton Avenue and close to a public transportation stop, this beautiful site with views still feels like it's out in the country. The large central courtyard has a playground, tot lot, and picnic shelter. 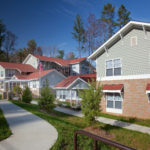 Affordable living is just minutes from all the amenities of the west side of Asheville. 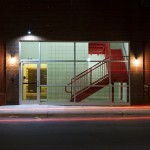 1, 2, & 3 bedroom apartments in North Asheville. 24 E. Larchmont Road. Right off Merrimon, these apartments are right on the transit line and are close to grocery stores and restaurants. Each unit features Energy Star appliances. A playground is available for children. The Glen Rock apartments are located in the Livingston and River Arts neighborhoods. Close to downtown, the hospital, AB Tech, and public transportation, the site is convenient to many amenities. Each unit has solar hot water and Energy Star appliances. 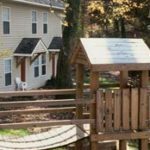 Other exciting features include: large interior courtyard with trees and playground, three levels of community space including fitness center, computer center, interior tot lot, and large gathering space with full kitchen. Crowell Park opened in the fall of 2008. 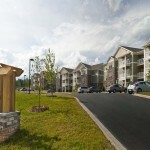 The complex, located near the intersection of Smokey Park Highway and I-40 (exit 44) offers 63 apartment homes. One, two and three bedroom units overlook a large shaded courtyard and play area. It is just minutes from all the businesses and services on Smokey Park Hwy. 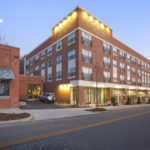 This building, one block from Asheville Transit hub, makes The Griffin a convenient and affordable place to live. This building will make you proud to live here with its arts and crafts theme and bold colors. 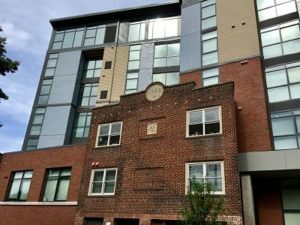 A downtown building with affordable rental rates. Beautiful apartment complex with rolling, wooded and well-landscaped grounds. Large playground area, picnic areas, small stream traverses site. Large, mature trees provide plenty of shade. Roberson School District. Ten 2-bedroom units. Quiet cul-de-sac townhomes in beautiful Haw Creek. Secluded, wooded site within one mile of Haw Creek Elementary and two miles of Asheville Mall. Reynolds School District. 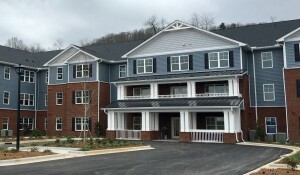 Retire in affordable luxury at Compton Place on Eliada Home Road in west Asheville. Beautiful apartments with open floor plans provide you with quiet privacy but many recreational opportunities are available for socializing. Library, internet access, fitness center, fireplace and great room, gazebo, walking trail overlooking beautiful wetlands/pond area planted with native plants all add to your enjoyment of Compton Place. 13 units – 12 on BR, 1 two-BR. Quaint, historic properties on quiet tree-lined street in north Asheville. Only one block from Merrimon shops, services, restaurants, & public transportation. Next to Claxton Elementary School & Merrimon Avenue Baptist Church. Five efficiency units. Renovated contemporary loft apartments in the heart of downtown. Walk to work, shopping, restaurants & services. No parking provided. Long range mountain views make living at Wind Ridge an awe inspiring experience. Large playground, walking/running trail, and spacious clubhouse make recreation easy. Erwin School District. 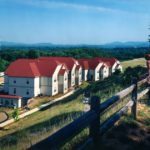 Wonderful arts and crafts buildings with spacious apartments and a beautiful wooded site make living at Northpoint Commons tranquil-- but this complex is only six minutes from downtown Asheville. 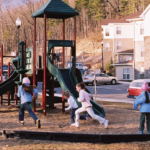 Large playground and courtyards provide attractive outdoor recreation opportunities. Woodfin Elementary and Erwin School District. 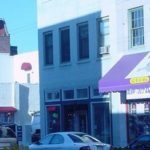 8 units – 4 one BR, 4 two BR. Beautiful historic building with hardwood floors, ceiling fans, open floor plan & large windows with great light. On bus line, some parking provided. 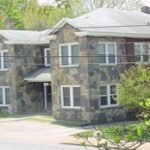 22 units - 1 bedroom apartments in Downtown Asheville. 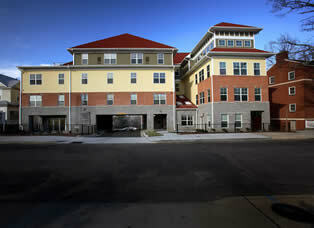 48 units - 1, 2 & 3 bedroom apartments in Mars Hill. Eagle Market Place is located downtown in the heart of Asheville. With 62 units with 1, 2 and 3 bedrooms. On the bus line - bus stop one block away. Please call 828-254-1562 or email eaglemarket@partnershippm.com.